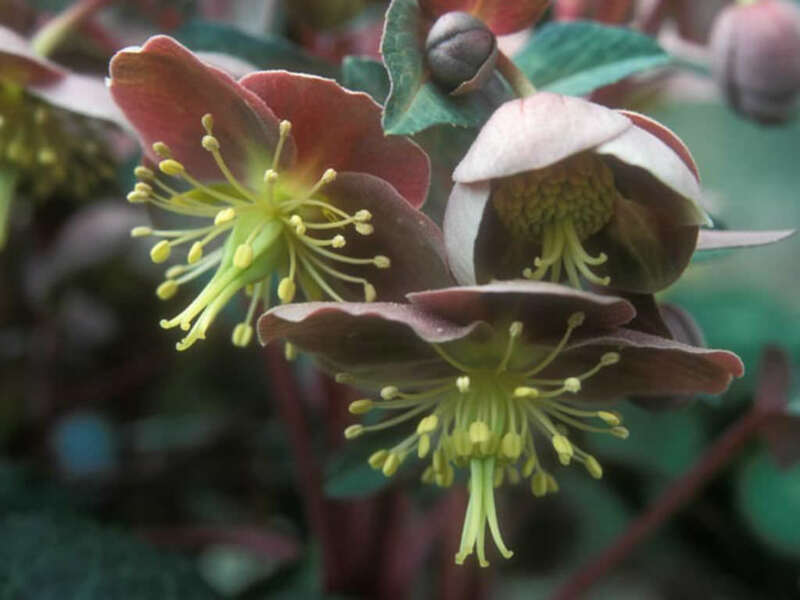 Helleborus lividus is an evergreen perennial up to 18 inches (45 cm) tall and up to 12 inches (30 cm) wide, with biennial stems and deep green or bluish green, glossy leaves. The flowers are pinkish-green, up to 2 inches (5 cm) wide, borne in open clusters from midwinter to early spring. When planting from seed or division, place the Hellebore into well-draining, organic soil in a filtered sun or shady location. The Hellebore plant will return for many years; make sure the space will accommodate growth and has proper sunlight. 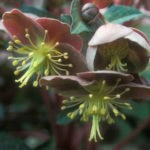 Hellebores need no more than a few hours of dappled light and grow successfully in shady areas. 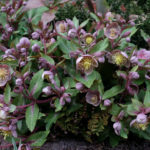 Plant the Hellebore under deciduous trees or scattered through a woodland garden or shaded natural area. Soaking the soil in which the Hellebore is growing helps the Hellebore plant to look its best. 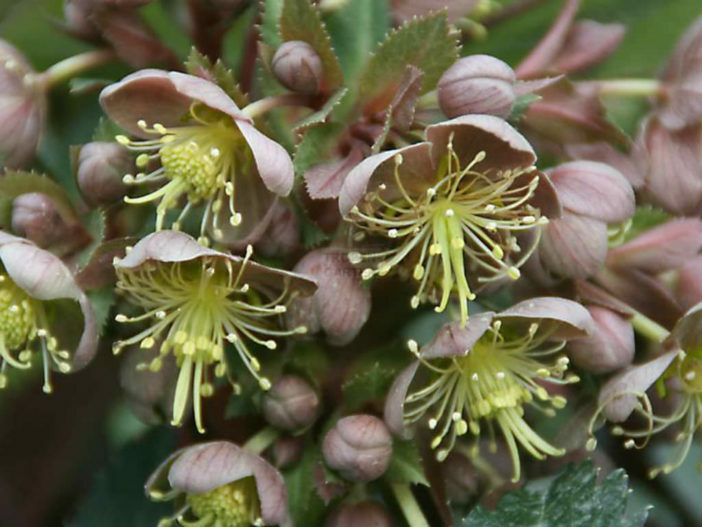 Hellebore care includes removal of older leaves when they appear damaged. Care for Hellebores should also include careful fertilization. Too much nitrogen may result in lush foliage and a shortage of blooms. 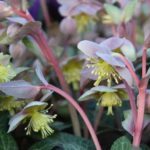 Plant Hellebore seeds in the fall. 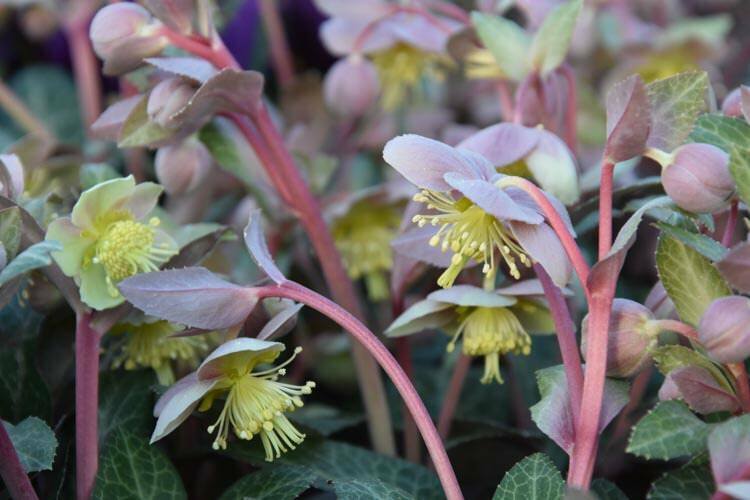 A 60-day moist chilling period is needed when planting seeds of the Hellebore plant. Planting seed in fall allows this to happen naturally in areas with cold winters. Wait three to four years for blooms on young plants grown from seed. 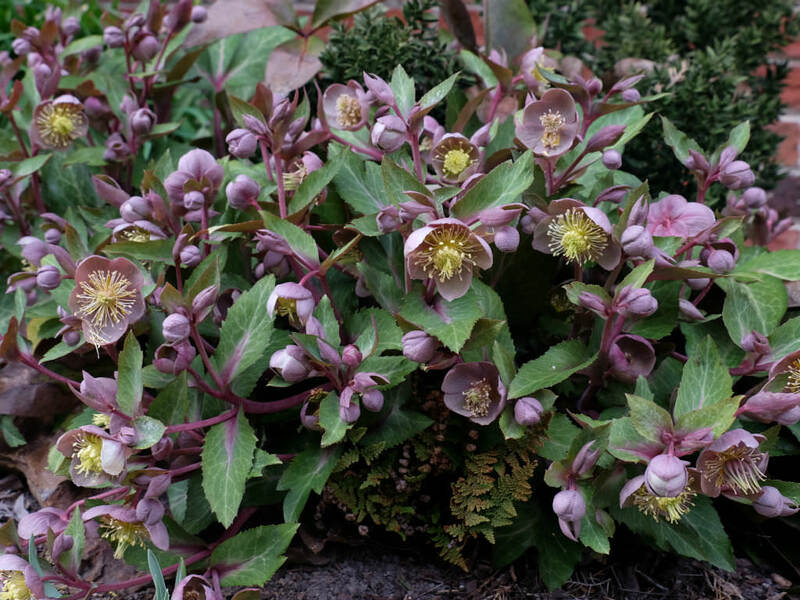 Divide overgrown clumps in spring, after flowering or in autumn… – See more at: How to Grow and Care for Hellebores. Native to Majorca and possibly nearby Cabrera, Spain.